What are Laser Heat Transfers? 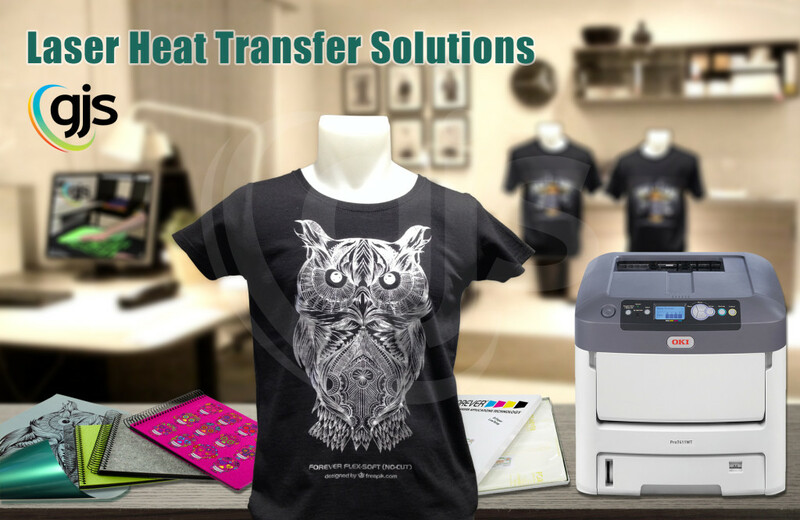 Laser heat transfers are a way to produce fast, self-weeding transfers in a dry production setup and without the need for a vinyl cutter or digital printer/cutter combo. 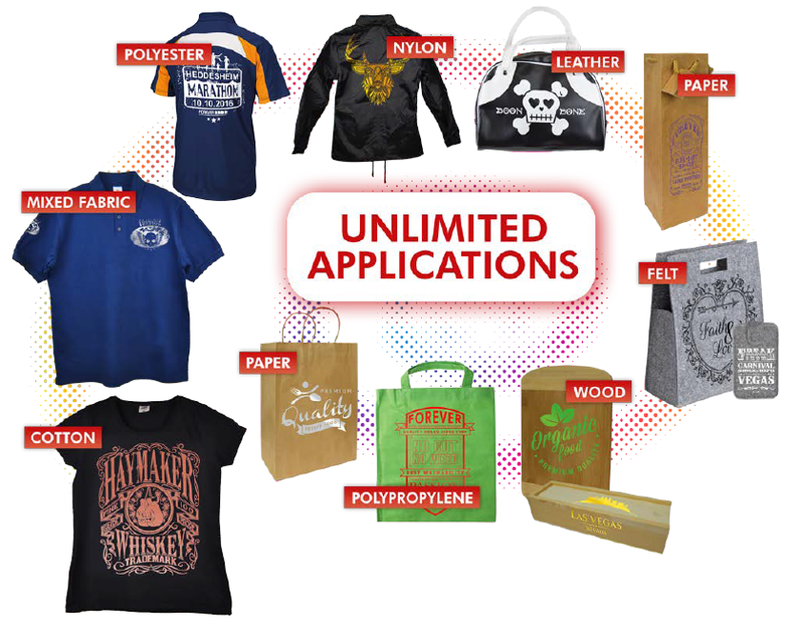 Using a computer, commercial heat press and an A3 or A4 desktop laser printer you can decorate garments and fabrics, plus a huge range of gifting and promotional products with cotton, polyester, leather, paper, cardboard, felt or wood surfaces. FOREVER Laser Heat Transfers innovative 2-Layer self-weeding technology means that the white opaque adhesive of the B-Paper LowTemp sticks only to the toner that is printed on the A-Film. This in-turn means that only the printed toner areas of the A-Film adhere to your product during the final heat press and all other areas peel away. No cutting. No weeding. Available in a huge range of different standard, metallic and neon colours, FOREVER Flex-Soft (No-Cut) laser heat transfers are suitable for single colour jobs comprising of text, logos, sporting numbers or solid colour designs. FOREVER Flex-Soft can also be used to create more complex designs, simply by applying up to three colour layers to your products. 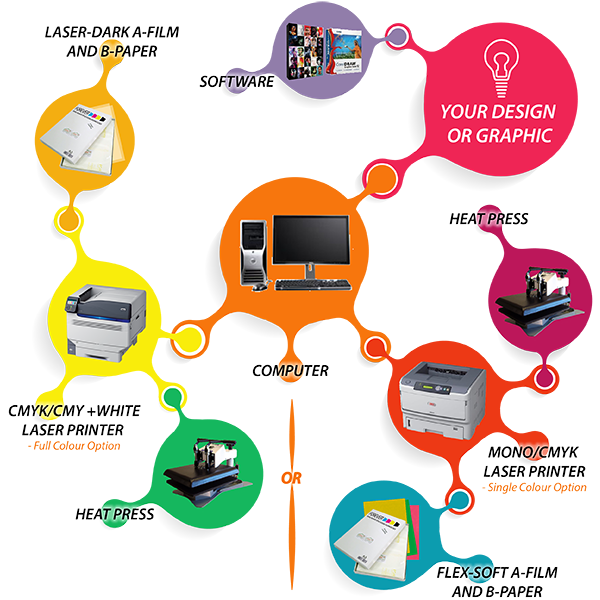 FOREVER Flex-Soft laser heat transfers are produced with a 2-Layer-System, utilising an A-Film Coloured film, B-Paper Opaque White Adhesive Paper, heat press and a sheet fed A3/A4 laser/LED desktop printer. 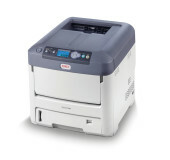 The printer can be a mono or colour device as you will only require a dense black print for this product. FOREVER Laser-Dark (No-Cut) laser heat transfers are suitable for multi-coloured, CMYK printed text, logos, images and designs with the advantage of including spot whites. FOREVER Laser-Dark laser heat transfers are produced with a 2-Layer-System, utilising an A-Film Transparent film, B-Paper Opaque White Adhesive Paper, heat press and a sheet fed A3/A4 laser/LED desktop printer. The printer can be a CMYK or white toner inclusive device, depending on the colour of the surface you are transferring to. 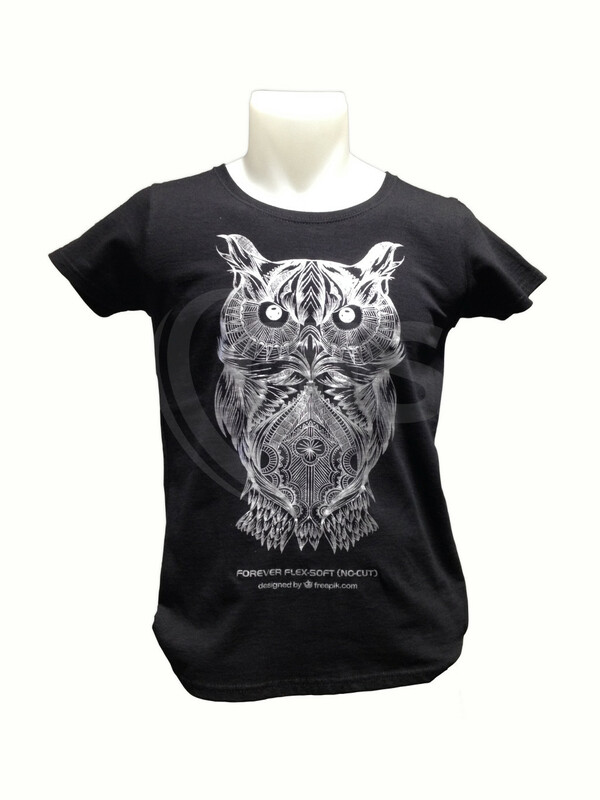 Printing onto darker surfaces will require a spot white in the transfer design to increase opacity. Printing any ligher coloured graphics onto any coloured surface will also require a spot white. 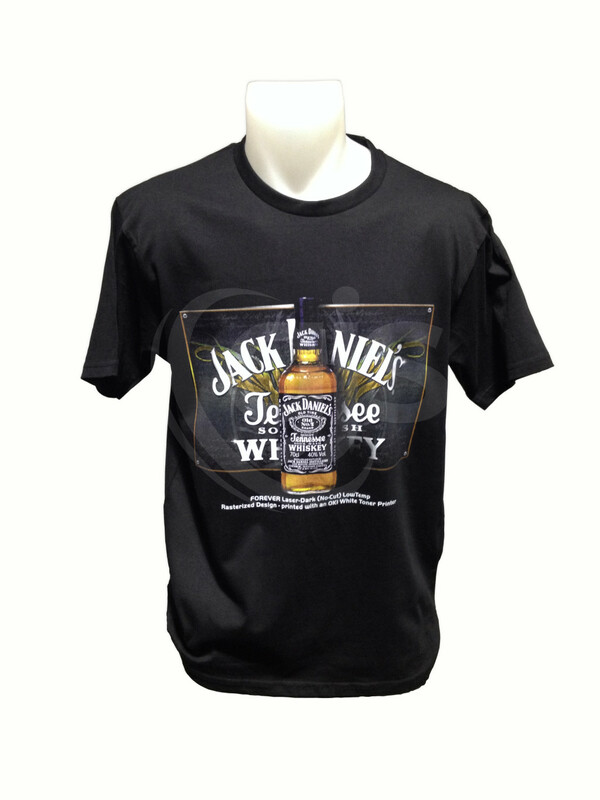 How do you use FOREVER laser heat transfer media? What do I need to decorate products with laser heat transfers? How does Flex-Soft compare with heat transfer vinyl? Time Required 5 mins 60 mins? !